1:23pm EST - A client update just hit to allow M39 and M249 skins. 12:00am EST - It’s been one week since the update and, along with some bug fixes, the team is working on shifts to the in game map, a new event for Easter, monuments, and more! Garry is getting his hands dirty in some Rust commits around the in game map this week. One of the main changes is adding the ability to see the surrounding area (in essence allowing you to zoom out farther, allowing you to see the Oil Rigs). Along with this, he’s shifted the overall look by applying a new shader. Andre and Diogo are working on a separate branch to apply the latest version of Unity (the underlying game engine for Rust). Generally speaking, these updates can improve graphics and performance, along with fixing some base level bugs. They do, however, often require a lot of retooling of various graphic items and game dynamics (which is what we’re seeing in the commits this week). If you’re interested in the nitty gritty of what's in this new version of Unity, check out their changelog here. Petur, after launching a ton of great shifts to lighting for the Compound monument last week, is working on a similar body of work for Bandit Camp. All this work is still on a separate branch at the moment, so no visuals yet. That said, it’s likely we’ll see some ambiance shifts to the lighting in Bandit Camp next month. I reached out to Petur to see if he’s got any sneak peeks I could post, but he said it’s not really at the point where anything would be representative of the final result. Expect some visuals in the coming weeks. 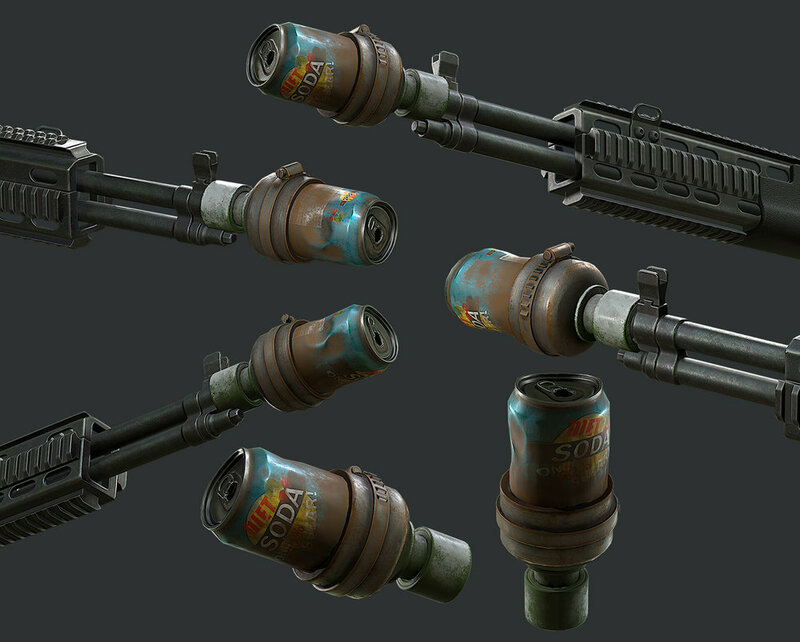 Thomas has posted some new art for upcoming makeshift silencers. You can see more on his Artstation page.